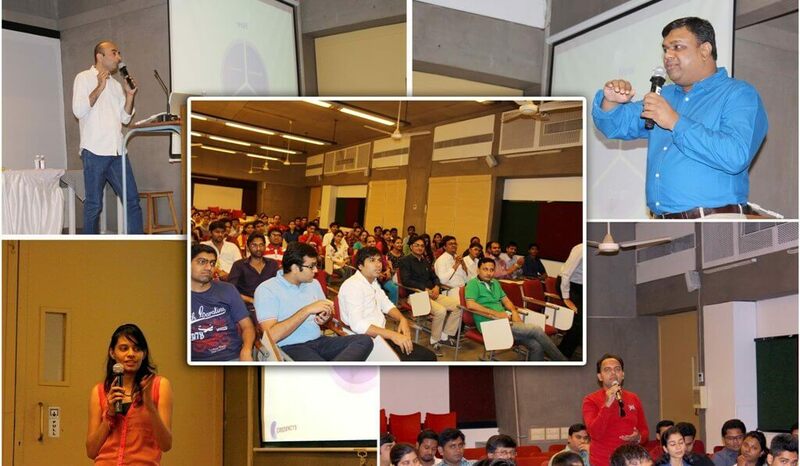 “Let’s have Chai pe charcha,” the annual meet of Credencys Solution held at AMA, Ahmedabad on 8th of November, 2014, where the journey of previous year and the outlook for future was presented. The whole session was addressed by our CEO Mr. Sandeep Agarwal and CTO Mr. Sagar Sharma. The foundation of the company was laid to provide breathtaking experience to the end customer that compels them to say a single word ‘Wow’. The only passion that drives Credencys is to nurture the relationship between consumer and brand using the power of Augmented Reality, Wearables and Mobile Apps. For the company, Communication not only means the interaction with the client or a good conversation in the office space, it also means there is a proper planning from the roadmap to the launching of applications. Agile scrum method is used that involves every team member in the communication and updates them on the daily basis. It helps to figure out the real insights easily and then transmogrify them into reality. Design is not just limited at the level of creativity, while it constitutes thousands of the things happening around in an organization. Hence, the company follows a specific design thinking process right from the first kick-off meeting with the client to the final delivery of the project. What matters to the company? In the journey of less than two years, Credencys has reached new heights with unbelievable growth. In fact, company is soon going to have staff personnel in the USA and has already started operations in Singapore. Last but not the least; though the organization has achieved tremendous growth in a short period of time, Credencys is tuned up to achieve a major breakthrough in the global market space. A few lines by Mr. Robert Frost perfectly epitomize the beliefs and future plans of our CEO and CTO. The thought-provoking session, super headed by CEO and CTO, ended with sumptuous meal. Indeed, it truly filled the atmosphere with high spirit and excitement to reach the heights of success in the coming future.